Part of a behind-the-scenes look opXpeditions: Colombia, an OutpostTV show. Watch it here. Dusk had begun to settle over the cobblestone streets of Cartagena, when the faint sound of African drums called out. Team Outpost followed the music until we arrived at Plaza Bolívar, where several barefoot men and women spun and danced around each other like courting birds. On the sidelines, a man played a long woodwind instrument, while others pounded out complex rhythms on traditional drums and shakers. The musical texture and vocal harmonies reminded me of Afro-Cuban and Brazilian music, which isn’t surprising, given we were taking in mapalé, a coastal dance/music style brought to South America with the African slaves. The shadow of human history runs long in these parts, from the first human settlers arriving here perhaps 6,000 years ago, to a 21st-century skyline of soaring glass towers. It was the Spanish who established Cartagena in 1533 and made it a centre for the lucrative trade in precious metals, like the gold we’d seen in Bogotá’s museums. The mapalé street performance was a reminder of the slave trade that helped run the mines and cane fields that once filled Spain’s vast coffers. Cartagena was pillaged by French noblemen, held ransom by the English, and pretty much pestered by any pirate in the neighbourhood, prompting the Spanish to sink lots of money into its fortification and protection. Our visit to the 17th-century Castillo San Felipe de Barajas revealed the lengths the Spanish went to protect their investment—just standing beneath the formidable fortress walls left me feeling humbled and intimidated. 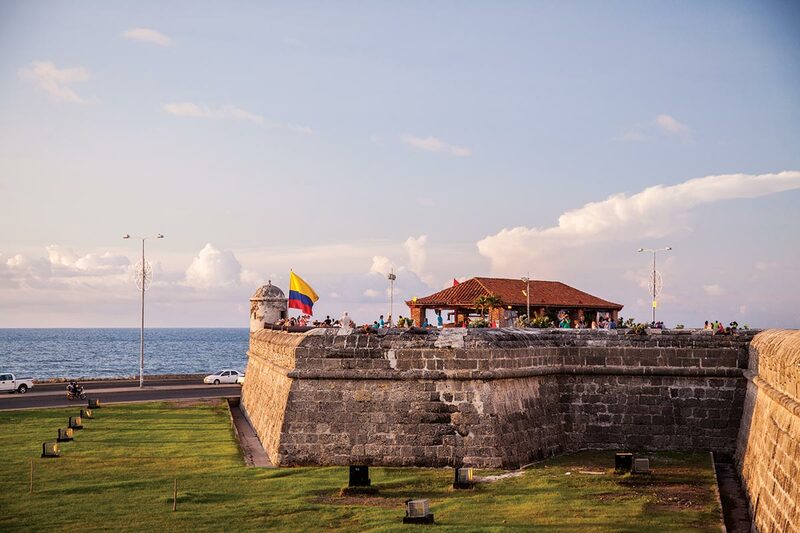 All these efforts in centuries past earned Cartagena’s colonial city and fortress a UNESCO World Heritage site designation in 1984. The mid-19th century saw famines and cholera outbreaks in the city, which set the stage for Love in the Time of Cholera, a beautiful novel written by Colombia’s most famous author, Gabriel García Márquez (affectionately known as “Gabo”). For those fascinated with the grandfather of magic-realism, walking tours are available to see locales here featured in his books, as well as Gabo’s house and the old newspaper office where he cut his teeth as a journalist. If the old city walls are the container of Cartagena’s past, then perhaps what lies outside represents its future. The neighbourhood of Bocagrande features dense clusters of skyscrapers, beach resorts, and a thoroughly modern Miami-type vibe. It’s definitely a great place to walk the beach at sunset, or grab a pint at the local BBC pub (Bogotá Beer Company). 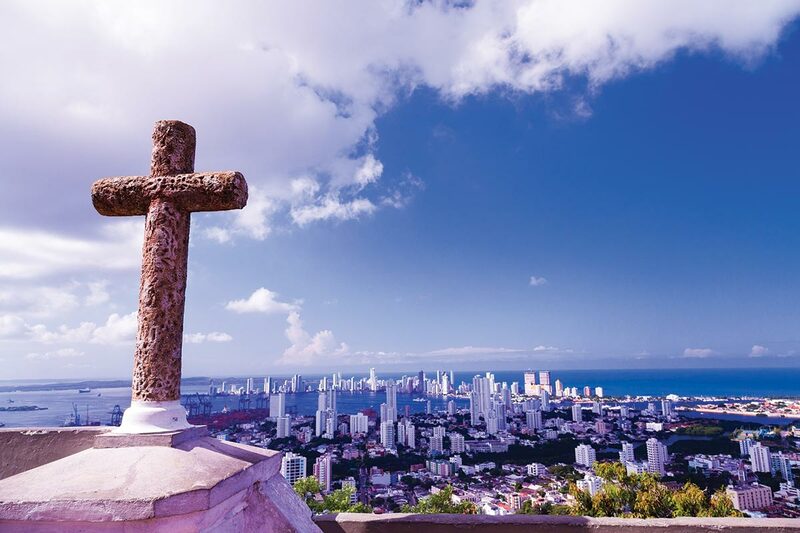 As Cartagena has expanded, it has incorporated outlying communities into the fold, including the old fishing village of La Boquilla, which rests between the Caribbean Sea and sprawling mangrove. 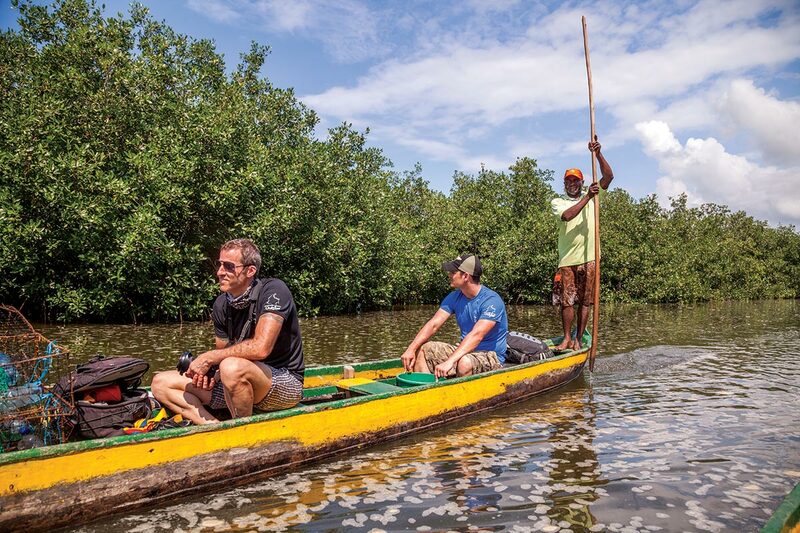 It’s here that Team Outpost set off in a canoe, while a local fisherman stood at the back, using a wooden pole to push off the ground in the shallow waters. Without a motor, we quietly glided through tunnels in dense mangroves that eventually brought us to a lake. Beneath open skies, we stood knee-deep in water and learned how to throw fishing nets and bait, and how to retrieve crab traps. 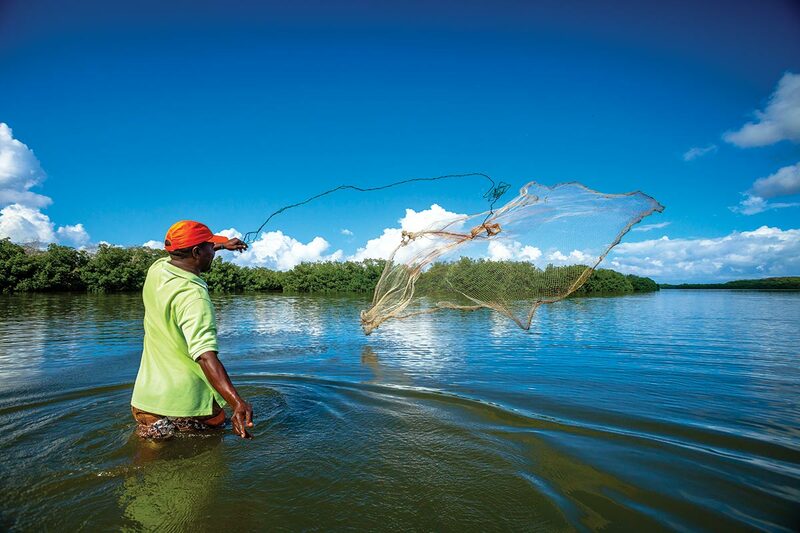 Now that’s sustainable fishing, Caribbean-style. After strolling the streets, following in Gabo’s ink-spotted steps, listening to music, soaking up the Caribbean sunshine, and standing in the old city’s long shadow, I can’t help but feel that if I was fortunate enough to return to Colombia, I’d find myself back in Cartagena doing it all over again.